"And two gay guys got married. And brought the family to its knees. How did they blow us to smithereens. Just a couple of queens. How did they do it. I'll tell you now. They brought marriage to an end. And I've found myself some culprits. It's two young gay republicans. 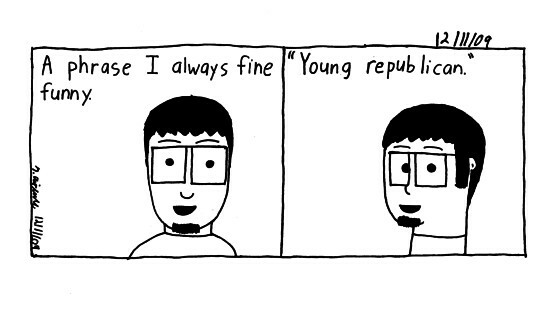 Young gay republicans."